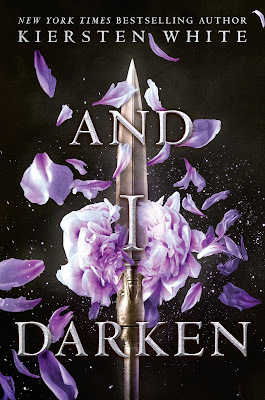 I am thrilled to be hosting a spot on blog tour for AND I DARKEN by Kiersten White! I really liked this reimagining of Vlad the Implaer as a girl if you want to see my review for the book it's HERE! I have an interview with Kiersten to share with you today! Haven't heard of AND I DARKEN? Check it out! Hi, Kiersten! First, I want to say welcome to Two Chicks on Books! AND I DARKEN was absolutely fantastic, and I can’t wait for everyone to read it! And I am so happy that you could stop by for a visit! Can you tell our readers a little bit about AND I DARKEN? So do you have a title for book two yet? Being an amateur scholar on this particular subject, I know the history pretty well, so this is something I have been wanting to ask you. Why do a gender swap of Vlad Dracul? Wasn’t he fascinating enough as he was? No, he wasn’t. All men can be improved by the addition of ovaries. Just kidding! (Mostly.) What I wanted to explore with this series is how good people get to the point where they can justify atrocities in pursuit of their goals. I loved researching Vlad the Impaler because he was so deeply nationalistic, and everything he did made a sort of twisted, bloody sense. He had to fight so hard for every inch of his land. But then I thought, what if he had been a girl? She would have had to fight so hard for every inch of everything, ever, simply because she wasn’t a man, and that’s when it clicked. Plain and simple, it was history to me until I wondered how it would have been different if Vlad had been Lada. And then it changed from history to story, and I had to write it. Who was your favorite character to write? Who was your least favorite? Honestly, I loved writing every single character. It’s a large cast, much bigger than I usually work with, and they all brought different things to the story. So far Lada does seem to be the favorite character of most readers. I think it’s because I gave her absolute permission to be unrepentantly awful—angry, violent, brutal—and I didn’t try to soften her. There was always the temptation to pull her back—give her some redeeming sweetness, or make her beautiful, or do SOMETHING to make her traditionally appealing. But I didn’t, and I’m delighted that readers appreciate her in all her raging glory. All the research. So much. I did research on Vlad, on Mehmed, on Constantinople, on the Ottoman Empire, on Islam, on Orthodox Christianity, on Vlad and Mehmed’s contemporaries, and on actual historical women who were able to rise to positions of tremendous power. You name it, I researched it. Part of me thought these books would be a little easier because history had already done so much of the plotting for me. The part of me that thought that was an idiot. Such an idiot. I was fortunate in that I had already been to Romania and visited all of Vlad the Impaler’s historical sites. (We really didn’t plan to do a Dracula tour, but we ended up around his old haunts and so made a point of seeing them.) We visited a church that his father was patron of, climbed 1,300 steps to the remains of his mountain fortress, and visited his birthplace and his capital. So much is still the same, and walking through his history was so inspiring. My only regret with this series is that I haven’t been able to visit Constantinople (now Istanbul). Someday! Until then, I will continue to frequent countless strangers’ photos on the Internet. Here’s the sad thing. I’ve hit the point in my life where I read things like Maggie Stiefvater’s Raven Cycle series and I don’t want to bed any of the characters, I want to PUT them to bed with a glass of warm milk and all the parental love and support they aren’t getting. I’m such a mom. I think the most innovative, interesting, and frankly just plain fun writing is happening in YA. That’s the community I wanted to be a part of, the stories I wanted to tell, and the readers I wanted to tell them to. No book I read as an adult had anywhere near the impact on me that the books I loved as a teen did. If I could do that for someone else, I can’t think of a higher privilege as a storyteller! I also love the themes and questions of YA. Who am I? Who do I want to be? How do I get there? Teens are coming into their own and starting to be in a place to really make decisions for themselves for the first time in their lives, and those questions are universal—both intimate and huge. There’s no more exciting age to write about and for. Nnedi Okorafor’s LAGOON. I’m itching to read Leigh Bardugo’s SIX OF CROWS! Teen me was all Ravenclaw. Adult me would be a hard call between Ravenclaw and Slytherin. Trypophobia. Google it. You’ll know REALLY fast if you have it, too. “Genghis Khan” by Miike Snow. 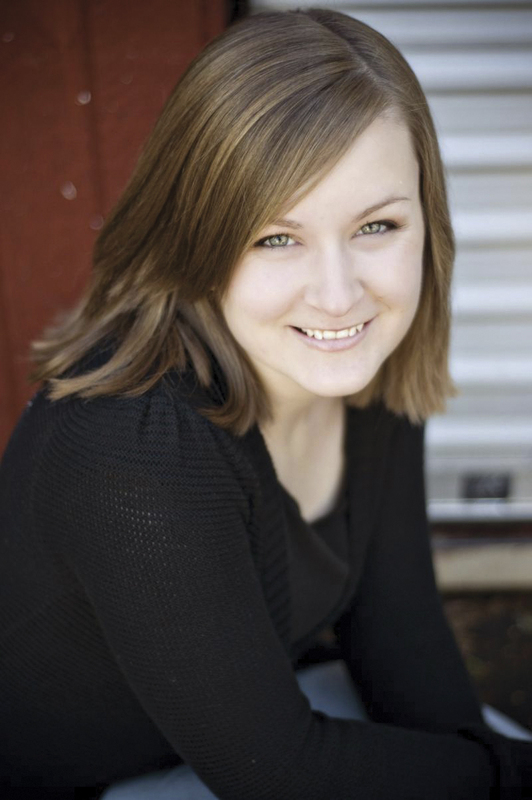 Thanks so much, Kiersten, for answering my questions! I can’t wait for everyone to read AND I DARKEN!